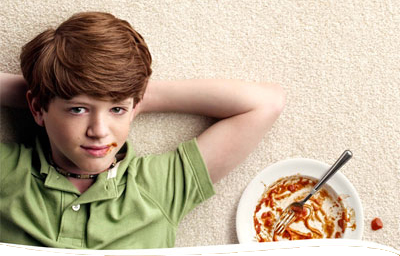 With new STAINMASTER® carpet with TruSoft™ fiber, you don’t have to sacrifice softness for performance and durability. Choose from a variety of colors and styles in the softest, longest-lasting STAINMASTER® carpet available. 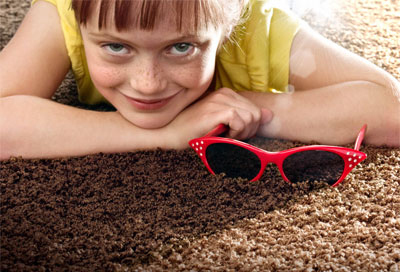 STAINMASTER® carpet with TruSoft™ fiber resists crushing, stains, soil and wear and tear to stay beautiful. Visit us today for special savings on STAINMASTER® carpet, featuring TruSoft™ fiber for the soft-touch comfort you crave with the performance that today’s lifestyles demand. Areas with high amounts of traffic such as the family room, hallways and stairs call for the highest-performing, most durable carpeting. Households with young children, pets and lots of sneakers tracking in and out will want a carpet that is stain and soil resistant. Every STAINMASTER® carpet is made from 100% premium nylon 6,6 fiber with stain and soil protection not found in other carpets. On the surface, many carpets look the same but the range in quality is actually quite large. Investing in a carpet that is easy to maintain, retains its appearance and withstands the demands of a busy household is a much better value than selecting a slightly cheaper alternative that will need to be replaced quickly. STAINMASTER® carpet with SolarMax™ Fiber Technology is the right choice for active homes. It combines a soft and plush feel for underfoot comfort with the worry-free performance you expect from America’s most trusted brand of carpet.STAINMASTER® carpet with SolarMax™ Fiber Technology puts the color the whole way through the fiber so you get remarkable stain and fade resistance. And STAINMASTER® carpet stays up to 30% cleaner and lasts up to 50% longer than other carpets. *That’s Real Performance for Real Homes™ — idealfor high-traffic rooms! STAINMASTER® carpet with SolarMax™ Fiber Technology is backed by our lifetime stain and soil limited warranty†. Learn more about Stainmaster carpet with SolarMax Fiber Technology by visiting our blog. STAINMASTER is a trademark of INVISTA. Used under license.